Bar das Cardosas - A place of charm from coffee to cocktails. Bar das Cardosas is a harmonious, trendy and refined space that offers a wide variety of cocktails, soft drinks, Port wines, tea, finger food, and more. With a privileged location in the historic center, one of the trendiest areas of the city, Bar das Cardosas offers a magnificent view of the city, in a charming and refined atmosphere. Among books and music notes, the bar honors the British traditions. It was the Portuguese “Catarina de Bragança” who introduced, in the seventeenth century, the habit of drinking tea in London. The famous five o’clock tea became a very English tradition, replicated a little throughout the world. 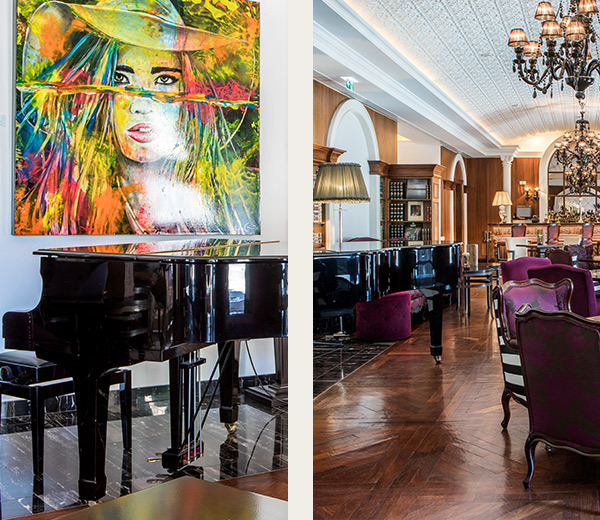 Now this custom is recovered by Bar das Cardosas, in InterContinental Porto – Palácio das Cardosas. Music gives joy to life, so Bar das Cardosas sets the rhythm to the sound of fado. On Mondays and Thursdays, between 7:00 p.m. and 09:00 p.m., guests (or visitors) are invited to be enchanted by Fado notes, involved by the melodies of the Portuguese guitar. On Fridays, the Bar is cheered up with concerts between 9.30pm and 11.30pm.